WHILE we’re always proud when the latest Army&You magazine arrives from the printers, the autumn 2016 issue holds special significance. Not only does it feature a freshened-up design, complete with new layouts and typography, but it also marks the first issue since the three-year anniversary of TylerBale taking on responsibility for publishing the title. Over the course of the first 12 issues, we have applied our editorial experience to help shape what was once a journal into a glossy, commercial-quality, award-winning magazine. 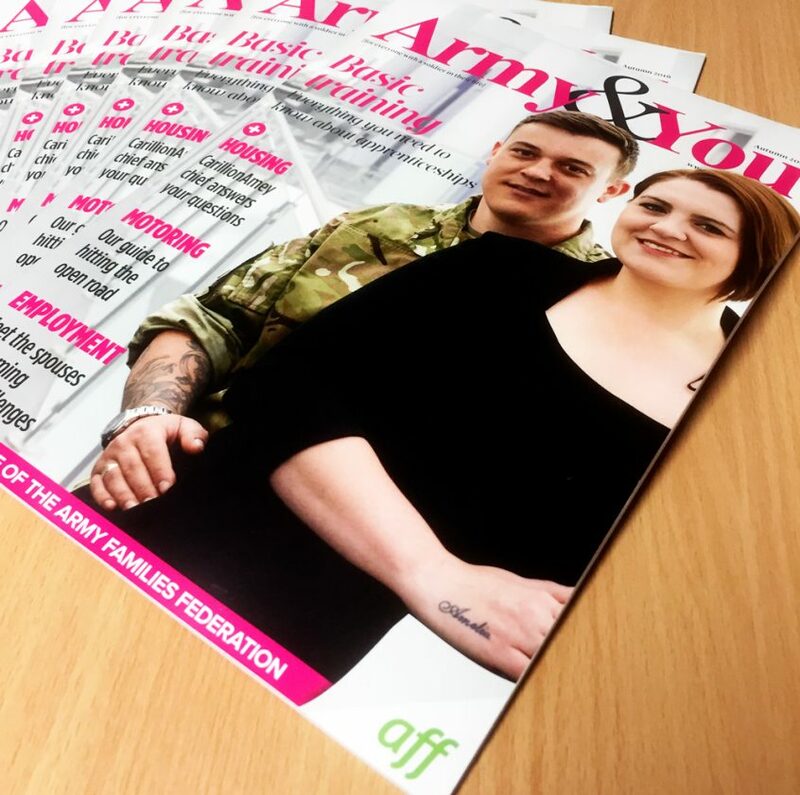 Throughout our relationship with the Army Families Federation, we have made a point of always going above and beyond what is expected in order to make the magazine as good as it can be. That support manifests itself in each and every production cycle as we happily assist AFF with sourcing relevant images, writing quality features and even building and maintaining a complementary website. Our skill-set ensures that our clients don’t have to go to the hassle of engaging with lots of agencies to get the job done. We think the title has come a long way since coming under our stewardship and the TylerBale team is excited at the prospect of further developing it for the next dozen issues and beyond.